If you are a Xiaomi Lover you definitely Know that Xiaomi always gives us surprise more from our Expectation. After the successful sale of Poco F1 Xiaomi going to introduce the other killer The MI Max 3 The First 5G Phone with 10 GB f RAM. The Mi MIX series are the premium series of Which id Popular with its premium design and features. Xiaomi and it arguably pioneered the trend of full-screen display smartphones being launched around the world now. we have some good news to share with you! Xiaomi going to unveil one of the most anticipated smartphones in 2018, Mi MIX 3 on October 25 in Beijing. Xiaomi successfully launched our full-screen display concept Mi MIX, and it wowed people by giving them a glimpse of the phone of the future. Mi Mix 3 will have an all-screen design with no notch. That’s because the phone will feature a slide-out selfie camera similar to what we saw on the Oppo Find X and Honor Magic 2 earlier this year. 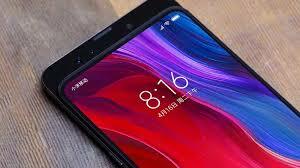 Xiaomi Mi Mix 3 price in India is expected to be Rs. 38999. Mi Mix 3 is due to be launched on 25 October 2018. The 64GB variant costs around Rs. 38999. TheXiaomi Mi Mix 3 comes in multiple colour options like Black, White which are also priced the same.